Sell your Advanced Financial Accounting book back here now, or alternatively buy it direct from us if you're just getting started learning. Written by co-authors Richard E Baker, Valdean C Lembke and Thomas E King, this text books was released in 2010 by Irwin/McGraw-Hill. 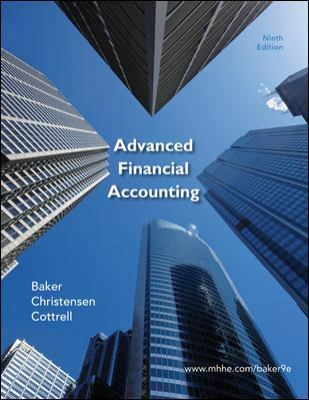 It was updated into this 9th edition so if you buy Advanced Financial Accounting online from this page, this is the edition you'll receive. We specialize in buying previously owned copies for budding business and economics students as well as those studying other topics, so try us now. Valore Books will provide you with the service you need. David Cottrell is the author of 'Advanced Financial Accounting', published 2010 under ISBN 9780078110924 and ISBN 0078110920.